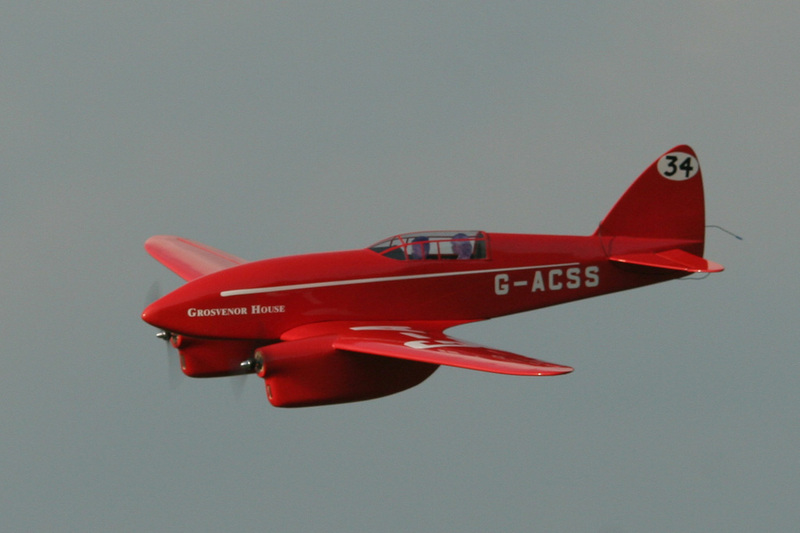 The de Havilland DH.88 Comet is a British two-seat aircraft designed for the 1934 England-Australia MacRobertson Air Race. Three examples took part in the race and one of them, G-ACSS Grosvenor House, won. The type set many aviation records both during the race and afterwards. Some later returned to racing or were used as mail planes. This sport scale model was designed by Jim Young for two Speed 400 electric motors, and has a wing span of 50". The short kit contains laser-cut balsa and plywood, printed plans, and a vacuum-formed clear plastic canopy.